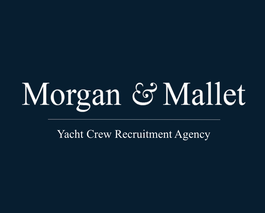 Morgan & Mallet Yacht Crew Recruitment Agency regularly supports charter companies and companies involved in the yachting industry (constructors, brokers, charter yacht placement companies, yacht management companies ...) in crew recruitment. What major tasks can we solve for you? What makes Morgan & Mallet Yacht Crew Recruitment Agency stand out?